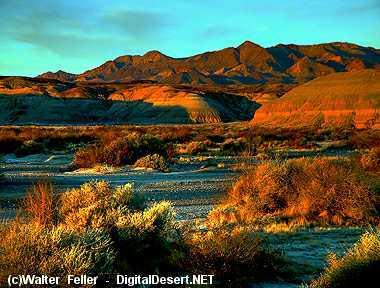 The Mojave Desert is an environment of extreme heat, poor soil nutrients, limited soil water-holding capacity, and—worst of all—little water. Even when rains come to the Mojave, often a great amount of water falls in a very short time onto ground so dry that the rain runs off quickly, washing away skimpy desert soil in the process (flash floods). 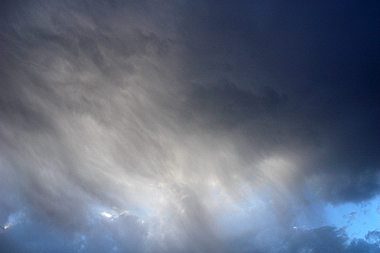 Sometimes, high temperatures cause rain to evaporate before it reaches the ground. Wind frequently compounds these challenges by rapidly evaporating scarce moisture and covering plants with dust. Luckily, the Mojave’s plant and animal species have developed ingenious physiological and behavioral adaptations that allow them to thrive in such a harsh world. Following are some examples of the complex ways in which Mojave species have adapted.